What do we consider to be wisdom? Saving for a rainy day? Learning the lessons of a previous generation? Looking both ways before we cross the road? There are many ways to be wise – and many ways to ignore wisdom and think we know better. 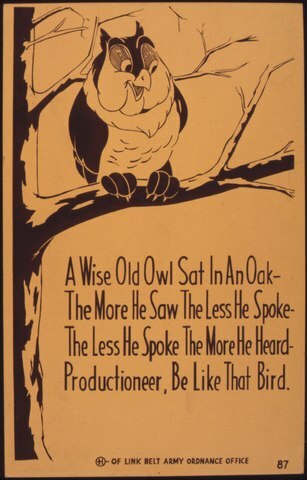 So, do we listen, or sneer and ignore when good advice comes our way? Wisdom seeks to offer correction – advice for the right way, and so often it goes ignored. BUT we pay no attention at our peril. In the book of Proverbs the word “wisdom” is sometimes used as though wisdom were a supernatural being who was with God at the time of creation. and I think it is in that context that this passage is best read. How often are we “stuffed-full of our own schemes” instead of listening to God’s? How often do we plough on, without listening to that still small voice of God? How often do we rush on ahead, paying no heed to what God is saying and doing to us? How different might life be if we did?